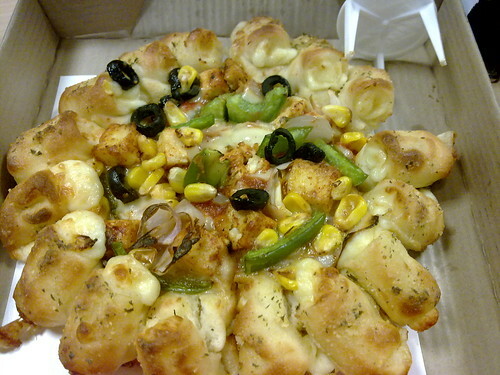 Pizza, originally uploaded by amulya. Horribly boring day and the breakdown of the resolution of my diet... resolution. The new pizzas from pizza hut. no no... this is regular pizza. which is pizza hut speak is small pizza. i want real swiss cheese. and a variety of cheeses. i miss italy!!! Aug 17 - Shot dead?